The Avg. Group Saves 27.4%! SAP Center, California's Great America Theme Park, Downtown San Jose, Winchester Mystery House, Center for Performing Arts, Intel Museum, Raging Waters Theme Park, Children Discovery Museum, Tech Museum of Innovation, Santana Row, Great Mall of the Bay Area. "No frills but clean and easy." Guests were loud in the halls. But that is not Hotels fault. Room was clean, property was neat. staff was friendly and helpful. Bowling alley 50's diner was cute next door with a FAST service of the usual items. 03-Apr-2019 Verified Review, stayed from Thu Mar 28 to Sun Mar 31 2019 at a $126.51 average nightly rate. SOON TO BECOME THE FOUR POINTS BY SHERATON SAN JOSE AIRPORT. 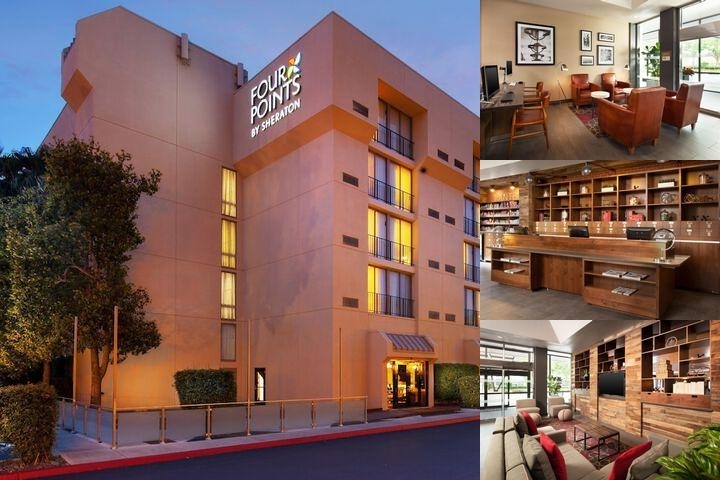 In early 2014, all guest rooms and public space will receive a complete makeover, and in late Spring 2014, the hotel will reflag as the Four Points by Sheraton. We will be the freshest hotel in San Jose! All of our 195 guest rooms and suites feature complimentary high-speed Internet access, flat screen television with cable TV and in-room movies, cordless speaker phone, coffee maker, iron/ironing board, hair dryer, and complimentary bottled water. Traditional rooms feature a single King bed or two Double beds. Our suites feature a King bed and offer upgraded amenities, including some with in-room Jacuzzis, terrace balconies, and dual bathroom sinks. The hotel offers free open and garage parking, and we have a complimentary shuttle to and from Mineta-San Jose International Airport, located a little over a mile away.The hotel's onsite restaurant, RSVP44 serves daily breakfast, lunch, and dinner, and our lounge serves daily light fare and cocktails. Daily room service is available during restaurant hours. Onsite activities include an exercise facility and an outdoor heated swimming pool. When our renovation is complete, all rooms will have in-room safes, and we will also feature a food, beverage and sundry pantry, and we will offer Starwood Preferred Guest points program for individual guests, groups, and meetings. Complimentary microwaves and mini refrigerators are available by request at no charge on a first-come, first-served basis.To accommodate meeting and event needs we offer nearly 5,000 sq ft. of adaptable function space. Our 2800 square foot ballroom can accommodate up to 180 for a banquet, and is divisible into three sections. 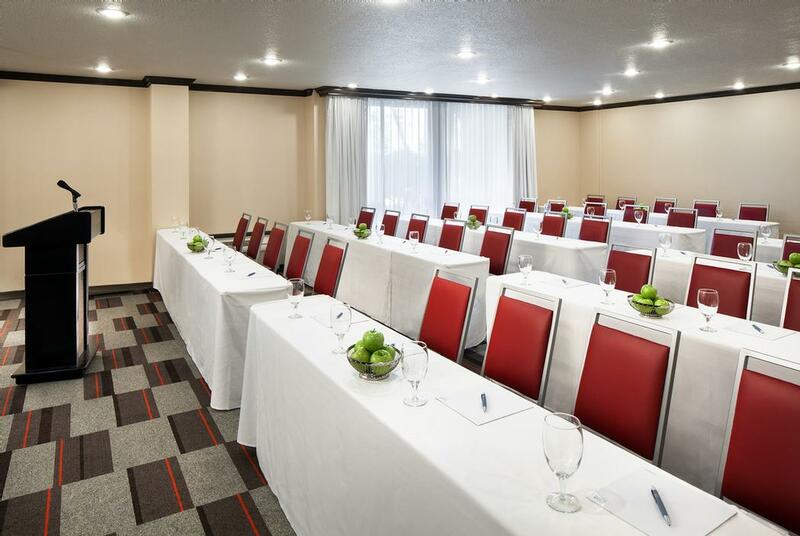 Three additional meeting rooms bring our combined total to 6 separate spaces for functions. The hotel also features an outdoor terrace area that overlooks the pool, which is an ideal setting for an intimate outdoor ceremony or catered affair. CalGreen - Our building meets certain sustainability and ecological standards. Our outdoor heated pool is open daily from 7:00 am - 10:00 pm. The Hotel is situated 1 mile from San Jose International Airport. Approximately 5 minutes driving time. Airport shuttle is free upon request. Local Shuttle Info: Complimentary shuttle to and from Mineta-San Jose Intl. Airport between 4:45am-11:30pm. Standard parking fee is $15 per vehicle per night and $45 per bus. Parking rates may be flexible for groups and discounted rates will be offered in group proposal. 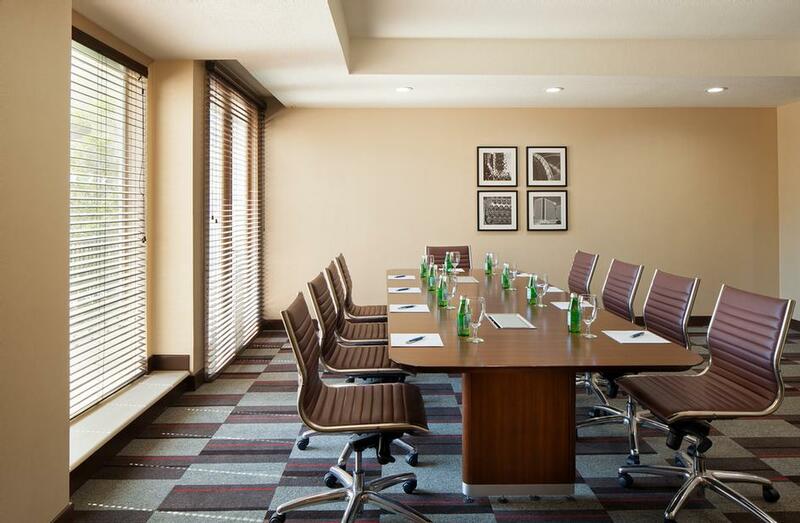 Below are the meeting, banquet, conference and event spaces at Four Points by Sheraton San Jose Airport. Feel free to use the Four Points by Sheraton San Jose Airport meeting space capacities chart below to help in your event planning. Hotel Planner specializes in San Jose event planning for sleeping rooms and meeting space for corporate events, weddings, parties, conventions, negotiated rates and trade shows. The Versailles Ballroom is located off of the hotel lobby, and is entered through the Ballroom Foyer that features a spacious pre-function area. The Ballroom features modern lighting and high 12 ft.ceilings. Two pillars are strategicallhy located at the side of the room, approximately 6 ft. from the wall, so they do not obstruct views. 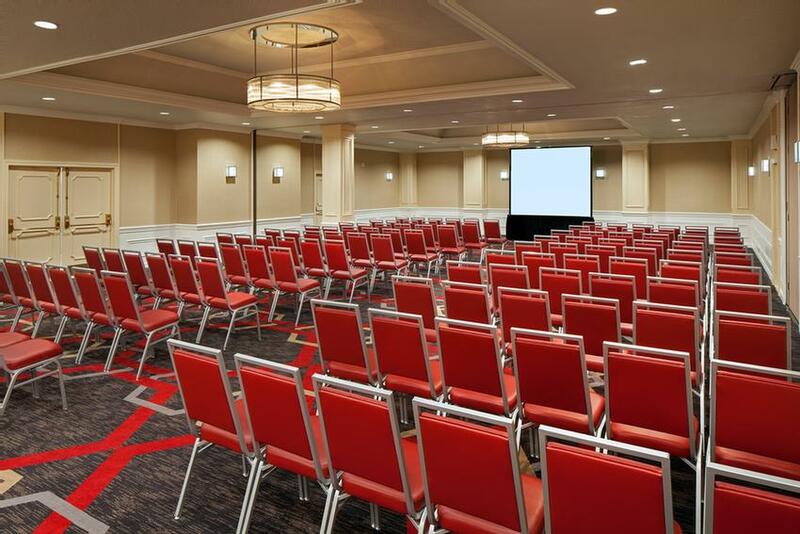 72 x 36 x 12 Ft.
Room Rentals can be waived based on F & B minimum requirement. The Bordeaus Room is located on the first floor and features a wall of windows that let in plentiful natural light. 35 x 28 x 8 Ft. The Chantilly Room is located on an upper floor, allowing for great privacy. The room features a privte bathroom and multiple windows that allow natural light to shine in. 100 x 30 x 0 Ft. The Merlot Room is on the hotel''s second floor and opens up to the outdoor Terrace area. It is set with a permanent board table that seats up to 12 people, and has a private restroom inside the room. 23 x 18 x 8 Ft.